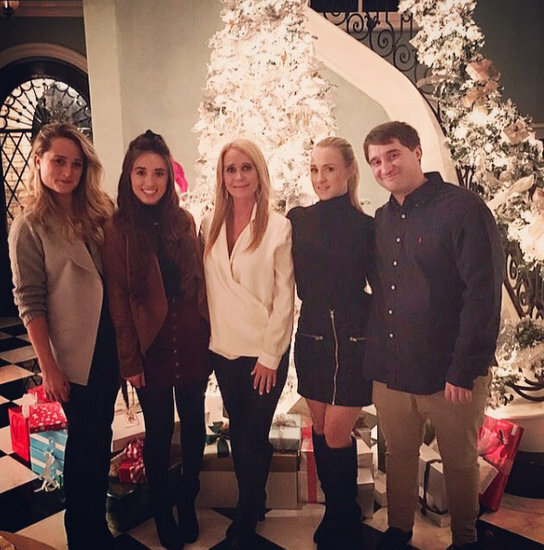 Kim Richards is getting candid about her battle with sobriety and how her struggles with addiction have affected her children. Interestingly the former Real Housewives Of Beverly Hills star is finally admitting that she has battled with alcoholism for most of adult life and has been in and out of rehab. Obviously this has majorly affected the lives of Kim’s four children, Brooke, Whitney, Chad, and Kimberly. “I felt terrible for my children,” Kim confesses. “That was the thing that bothered me most. I cried because I hurt my kids.” Oh, so that was the cause of Kim’s hysterics on Dr. Phil? Uh-huh. Kim Richards Loves Sobriety And Blames Everyone Else For Her Relapse; Denies Being Fired From RHOBH! Kim Richards is baaaaack to ramble about “MY SOBRIETY” again. After being in and out of several rehabs following an April arrest, Kim insists, “I love sobriety!” And this time she plans to stay that way. We’ll believe it when we see it — hopefully NOT on Real Housewives Of Beverly Hills! Report: Kim Richards Flees Rehab! Kim has been in and out of rehab since her April arrest at the Beverly Hills Hotel. She left one facility, then was kicked out of second because she went MIA in a Mexican bender at her daughter Brooke’s May wedding. Kim checked into a third facility when family members cut her off financially and she lost her job with Bravo; but also because she hoped to avoid jail time after being charged with public intoxication, resisting arrest and battery on a cop. Kim Richards Offered A Plea Deal; Will Not Have To Serve Jail Time! Kim Richards is a lucky lady – prosecutors have offered her a plea deal for her charges of public intoxication, resisting arresting, and battery against a police officer. If the sobriety-challenged Real Housewives Of Beverly Hills star accepts the deal, she won’t have to serve jail time! Yesterday, Kim, through her attorney Robert Shapiro, entered “not guilty” pleas to all three charges. The former Housewife was not present at the Los Angeles Superior Courthouse because she is currently in rehab (again). Kim Richards Kicked Out Of Her Rental Property Because She’s Broke! Kathy Hilton Joining RHOBH?! Kim Richards didn’t abandon her Mexican Booze Cruise to return to rehab – she just needed to get her stuff out of her rental property because she can’t afford her rent, reportedly! While Kim has been on her latest bender, Enabler 1 and Enabler 2 (that would be Kathy Hilton and Kyle Richards) cut her off financially, and therefore she can no longer afford her rental property in the Valley! Ah, yes, The Valley – for all Brandi Glanville‘s mocking it, it’s her friend KimKillah who resides there, not Lisa Vanderpump. Report: Kim Richards Officially Fired From Real Housewives Of Beverly Hills! According to multiple reports, in light of her issues with alcohol, the law, and reality, Kim Richards will not be returning to Real Housewives Of Beverly Hills next season. I find the timing of this news very telling. It was just reported that after Kim’s egregious behavior in Mexico Kyle Richards is done ‘going to bat’ for Kim and being her safety net. Other stories have emerged saying that Kathy Hilton has cut Kim off financially as well. Apparently some people have been taking Dr. Phil‘s advice (finally!). Now emerges the news that Kim has been fired. With her bestbestbestbestie friend in the whole-wide world in rehab, Brandi Glanville is speaking out in support of Kim Richards‘ and her struggles with sobriety, including her recent arrest. Kim Richards is currently in rehab – again – to seek help with her addiction issues. She made the decision to accept treatment after a disastrous Dr. Phil interview and a recent arrest for public intoxication, but she’s not happy about it! Dr. Phil confronted the Real Housewives Of Beverly Hills star about her manipulative and deceitful behaviors and her inability to face the truth. When he offered to get Kim treatment she stormed-out and berated him. Kim finally did check-in to rehab – reportedly a 30-day inpatient program in Malibu – but sources say she is up to her shenanigans in treatment of being demanding, impossible, and trying to leave!